We Want Your Car! Value your trade here. Did you know our Raynham Honda dealership also buys cars? 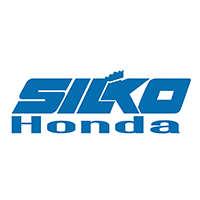 At Silko Honda we are dedicated to offering our customers a wide array of used vehicle options. We will pay you Silko’s Fair Market Value for your used vehicle, even if you don’t buy ours! Silko is committed to making sure you receive Silko’s Fair Market Value on your trade-in. Silko’s Fair Market Value price for your used vehicle will be determined exclusively by Silko through its Fair Market Value appraisal process. To appraise your vehicle’s Fair Market Value, Silko starts by inspecting your vehicle and taking it for a test drive. We then use specialized vehicle appraisal software that provides Silko with a suggested appraisal value for your vehicle. This appraisal software takes into account the year, make, model and condition of your vehicle, as well the sale price of other similar vehicles for sale in the surrounding market. This allows Silko to make you a fair offer on your vehicle. Of course, Silko’s Fair Market Value appraisal process is just one way to determine what your vehicle is worth. We encourage our customers to compare Silko’s Fair Market Value appraisal against estimates obtained by using online appraisal websites such as Kelley Blue Book. In some cases the Silko Fair Market Value may even be higher than certain online appraisal websites. If that is the case we will honor our appraisal. Silko wants you to trade-in your vehicle with confidence! Visit us soon to get a great price on your car! *Appraisals are valid upon visual inspection of the vehicle by a Silko Honda associate.